I’m a huge fan of discovering an incredible ‘tester’ product within my favourite glossy magazine, so you can imagine my delight when I stumbled upon this treat. 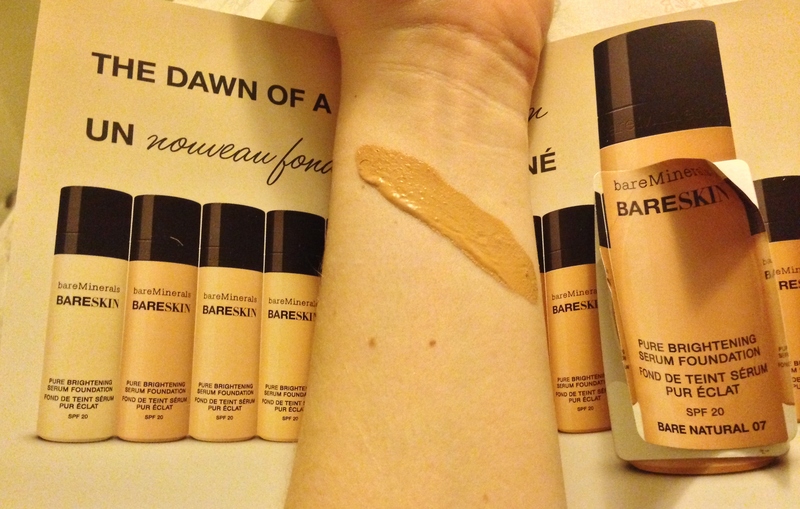 Unfortunately for me, this bareMineral BARESKIN tester arrived in shade ‘Bare Natural 07’ which is probably the average white female skin tone, but was far too dark for me. On the plus side, the little pamphlet which arrived with the tester included images of the entire ‘Pure Brightening Serum Foundation’ range – 20 shades in total, ranging from Bare Porcelain 01 to Bare Mocha 20. For this reason, I have instantly fallen in love with the product – high street alternatives just don’t provide the same broad spectrum of colours. Granted, I’m a huge lover of heavy coverage – as I have mentioned once or twice (or 50 times), so this foundation wouldn’t work for me. 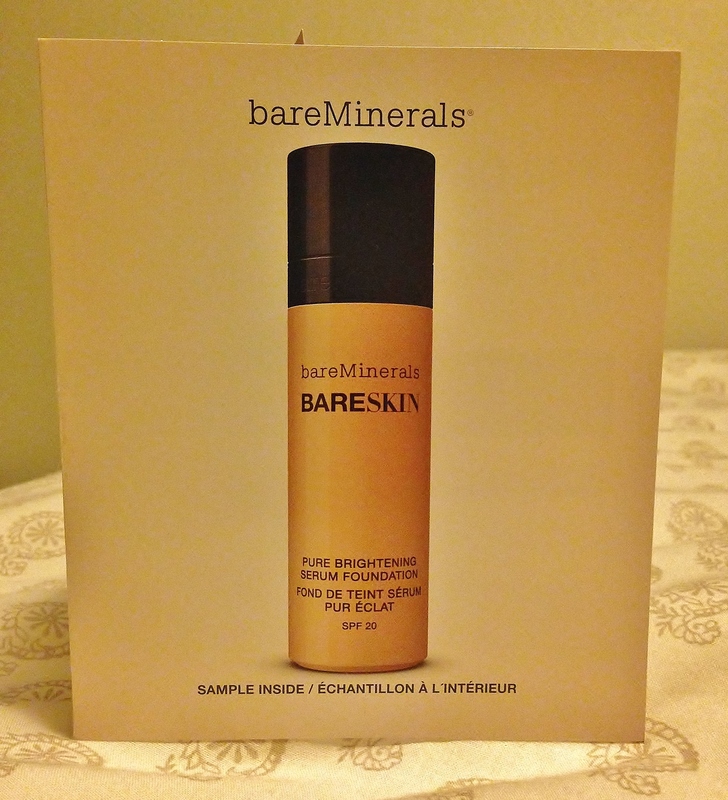 A floral scented serum substance, bareMinerals have managed to create a product which glides onto the skin and sinks into the pores instantly – the silky appearance is undeniable and I have no doubt that this would be a perfect choice for anybody who likes light-medium coverage. Protected by SPF 20 when applying this product, the wearer also benefits from tone correction, Vitamin C and ‘easily adjustable coverage’ – so perhaps when layer upon layer is applied, this could satisfy my full-coverage demands!